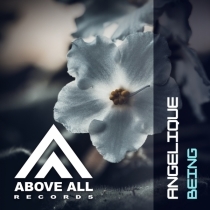 Angelique’s new release is a track that probably is the closest to her heart. A track with a huge synth in the break and a smashing drop and hard kicks. Angelique’s year has been a good year anyway with her gig at this years ADE as one of the highlights. Supported by a lot of great names “Being” will cause some serious dancefloor damage! Cold Rush is getting an established name in the Trance scene, with support from a lot of great DJ’s. Their remix for Angelique proves they are here to stay. Great vibe and melody without losing the energy from the Original track! Played by Armin van Buuren, Alex MORPH, Allen & Envy, Matt Bukovski, Sean Tyas, Manuel le Saux and more! Out now as Beatport Exclusive!